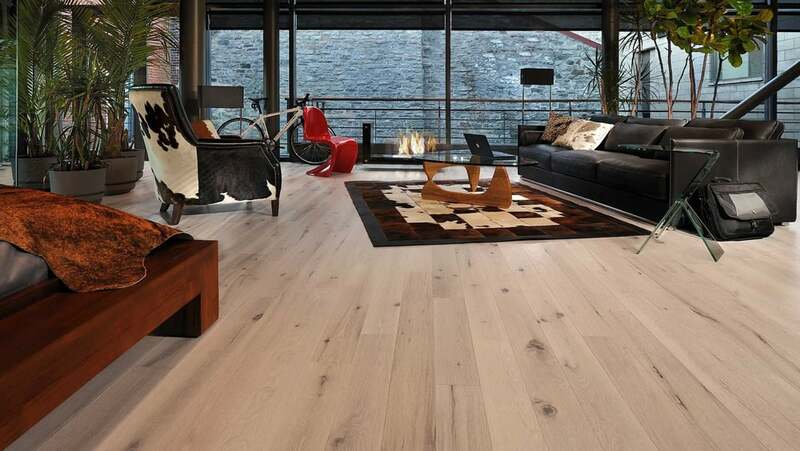 Garrison Hardwood Flooring Silverline Hardwood Collection Wide plank hardwood flooring at a narrow cost! This beautifully styled engineered birch flooring comes in an assortment of warm, inviting shades of nature and features perfect pillow edges. Each 6” rotary peeled plank is hand scraped, lightly hand-distressed, and urethane finished.